This Belkin RJ45 Category-5e patch cable is perfect for use with 10/100 Base-T networks. It exceeds the performance requirement of Category-5e, and features 50-micron gold plated connectors to insure clean and clear transmission. This cable is also equipped with snagless connector boots to prevent connector damage. Belkin backs this cable with a lifetime guarantee. 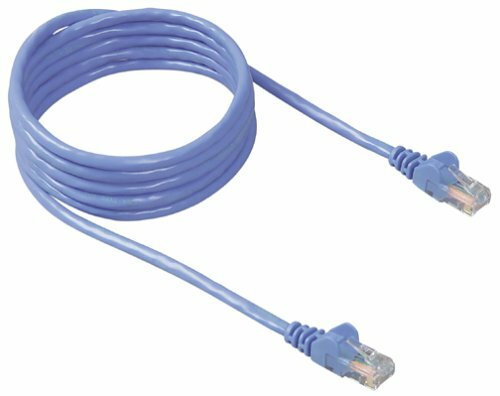 RiteAV - Cat6 Network Ethernet Cable - Blue - 3 ft.